Well… this WAS made to pair with my caramel corn. But the caramel corn burned the first time (pan was on the lower rack instead of middle-upper rack) and the caramel cooked too long the second time (because I was chopping apples to make apple butter). What did I learn so you don’t have to? 1. When making anything with candy, never EVER take your eyes off of it. Never. Okay? Sugar + Stove top = All eyes on me. 2. When baking in a new oven, check your recipes 5-10 minutes early to be safe. This is a new oven and my rack was too low, so the caramel burned. Or I could have baked the caramel corn at 200 degrees which takes longer, but less risk in burning. 3. When making apple butter, use Jonagold, Pink Lady, Jonathon, Golden Delicious, Empire, McIntosh or Rome apples. Don’t use Honeycrisp. Save those babies for eating. They make an okay apple butter. But, last year the Golden Delicious apples made awesome apple butter. Last year, I added some apple peel as well which I liked, but the family did not appreciate the texture. 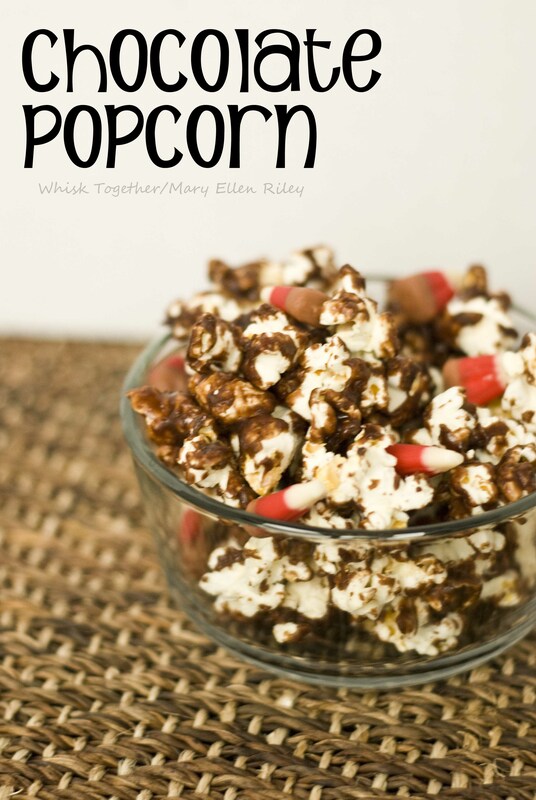 Recipe: Chocolate popcorn was chocolatey and feels healthy and delicious :-). I like the candy corn with it and the creamy chocolate on the crunchy popcorn. I think milk chocolate or dark chocolate would be delectable as well. It lasted 3 days in a sealed bag. Beyond that…Don’t ask because it never survived that long! Fun for a night of watching baseball, giving as gifts during the Fall or mix with red and green M&M’s during Christmas, etc. How to make plain popcorn? We purchased the Nordicware Popcorn Popper ages ago based on my friend’s recommendation and love it! 1/3 cup of popcorn kernels yields 8 cups of perfectly popped popcorn every time without oil or salt. We spray natural butter flavored grapeseed oil with the Misto and sprinkle salt on it for just plain eating. But for making caramel or chocolate popcorn, this plain popcorn maker works great and we’ve been using it for years. I can probably pop $50 of those premade bags with just $3 of plain popcorn kernels with this item. Spray a roasting pan with nonstick spray. Spread popcorn in the pan. Preheat oven to 200 degrees. Prepare a spot on the counter with parchment or silicone mats for later. About 18"-24" tall and 24"-36" wide. In a metal (not non-stick) pot, mix together the sugar, light corn syrup and butter. Bring to a boil over medium heat. Turn to medium low heat and boil without stirring for 2 minutes. Remember - silicone or wooden spoons are good here. Other plastic stirring spoons could melt in the high heat of boiling sugar. Once the 2 minutes are up, take the pot off of the heat. Stir in the chocolate chips and vanilla. 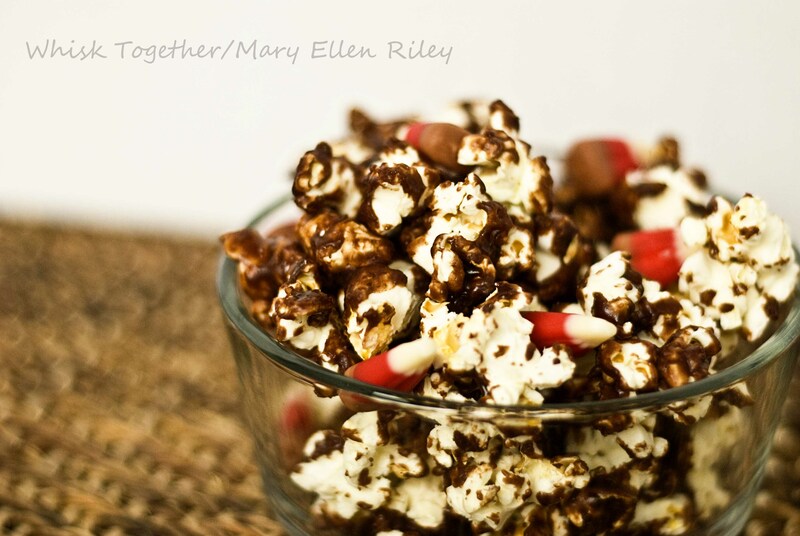 Drizzle the chocolate mix onto the popcorn. Bake for 15 minutes. Stir. Bake for another 15 minutes. Stir. If there is very little chocolate on the bottom of the pan, then remove the pan from the oven. Immediately, pour the popcorn onto the prepared parchment onto the counter. Cool for just a few moments and break into smaller pieces as the popcorn cools. Cool completely. Store in airtight container. 1. Spray a roasting pan with nonstick spray. Spread popcorn in the pan. Preheat oven to 200 degrees. Prepare a spot on the counter with parchment or silicone mats for later. About 18″-24″ tall and 24″-36″ wide. 2. In a metal (not non-stick) pot, mix together the sugar, light corn syrup and butter. Bring to a boil over medium heat. Turn to medium low heat and boil without stirring for 2 minutes. 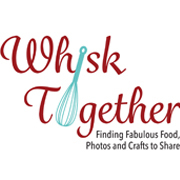 Remember – silicone or wooden spoons are good here. Other plastic stirring spoons could melt in the high heat of boiling sugar. 3. Once the 2 minutes are up, take the pot off of the heat. Stir in the chocolate chips and vanilla. 4. Drizzle the chocolate mix onto the popcorn. Bake for 15 minutes. Stir. Bake for another 15 minutes. Stir. If there is very little chocolate on the bottom of the pan, then remove the pan from the oven. 5. Immediately, pour the popcorn onto the prepared parchment onto the counter. Cool for just a few moments and break into smaller pieces as the popcorn cools. Cool completely. Store in airtight container.